The journey is approximately 3.5 to 4 hours drive north of Brisbane City. Head out of Brisbane city on the Inner City Bypass onto Kingsford Smith Drive. Stay on Kingsford Smith Drive until you see the signs to the Airport on the Gateway Arterial Road. Once on the Gateway Arterial Road, you continue driving for around 10 minutes until you see a sign that says ‘Sunshine Coast' on the left lanes. Take this exit and drive for a further 10 minutes until this joins the Bruce Highway. You then simply follow the signs through Gympie then take the Maryborough exit. From Maryborough, it is simply a matter of following the signs and allowing 30 to 40 minutes for the trip from Maryborough to Hervey Bay. 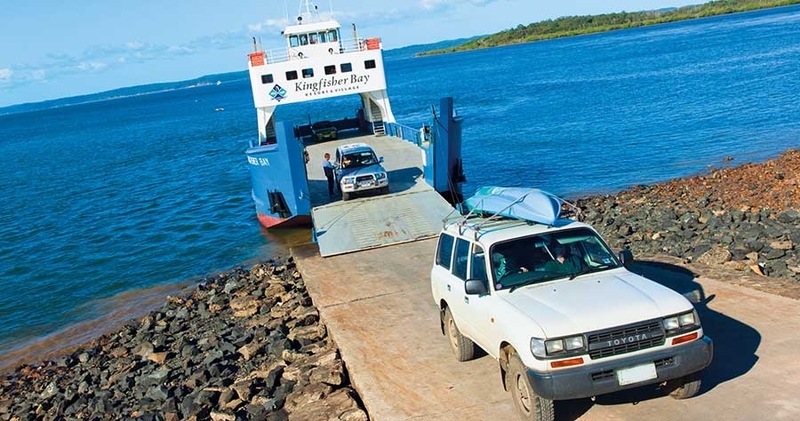 Print directions and choose best route with Fraser Island Google Map. The journey is approximately 1.5 hours drive north. Follow the Bruce Highway south to the Fraser Coast. Turn off at Torbanlea and follow signs to Hervey Bay. Stay on the main road, which becomes Boat Harbour Drive, and follow the signs to River Heads. Print directions and choose best route with Fraser Island Google Map. For Fraser Island barge timetables visit www.fraserislandferry.com.au. QantasLink flies 3 times during weekdays and 2 times during weekends from Brisbane to Hervey Bay. Virgin flies daily from Sydney and Melbourne to Hervey Bay. International and domestic flight connections are available from these 3 major city airports. Regular road coach services are available to Maryborough and Hervey Bay from Brisbane or from the north of the state with Greyhound-Pioneer-McCafferty's Premier and Suncoast Pacific Coaches. Both the Tilt Train and the traditional Sunlander allow access to Hervey Bay and Fraser Island from the north. Arrival times and styles of travel vary between trains, so visit www.traveltrain.com.au for more information.